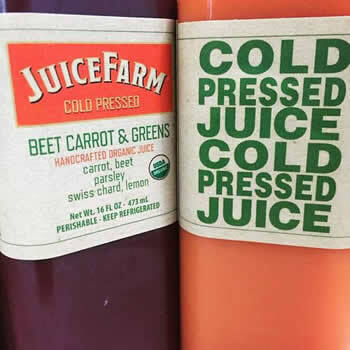 Juice Farm Cold Pressed has cold-pressed fruit and vegetable juices and smoothies. This increasingly popular, organic juicery is known for using the freshest ingredients possible for their cold-pressed fruit and vegetable juices and smoothies. Their trademark process involves a juicer that preserves the cellular integrity of the ingredients, making super-healthy fresh juice. Get $1 off any juice or smoothie at Juice Farm Cold-Pressed located at The Palazzo.